Edel grew up and spent most of her adult life in Dublin, Ireland, where she worked in the Post Office in an administrative capacity. She comes from a family background of complimentary medicine. Edel stumbled upon McTimoney Chiropractic after a chance conversation with an acquaintance about a career move. She investigated the treatment and was drawn to the ‘whole body’ approach of the McTimoney method. After one treatment Edel knew that this was the career that she wanted to pursue and 2 months later she started at the college in Oxfordshire from where she gained a first class honors degree. She has been involved in chiropractic for over 10 years. Edel has attended many courses in advanced McTimoney techniques and has incorporated these in her treatment. Edel is also a qualified massage therapist and holds an ITEC qualification. She has undertaken further training in Medical Acupuncture and is qualified to use this in the practice. She has also completed courses in a deep tissue massage method called Neuromuscular Re-Education and in Biogeometric Integration as well as Myofascial Release. She is also certified to perform the Epley manoeuver, a method use for the treatment of Benign Paroxysmal Positional Vertigo (BPPV). All of these methods can be integrated into the treatment depending on what is required. Edel is registered with the General Chiropractic Council, is a member of the McTimoney Chiropractic Association and the Royal College of Chiropractors. 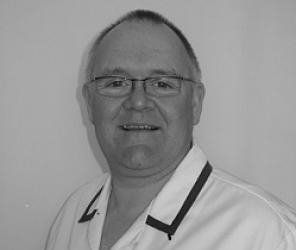 Simon has been part of Ashwood Chiropractic for many years now, since the practice was first started. His involvement so far has been largely in the background with administrative and web site roles, along with the development of the clinic property. With a background as an engineer and having spent many years within the building industry, Simon is heavily involved with the development of our new premises in Church Street. Simon came to train as a Chiropractor after being enthused by Edel and her colleagues. Simon holds the qualification Master of Chiropractic obtained from The McTimoney College of Chiropractic. He is now a full time member of the team and is registered with the General Chiropractic Council and will now be assisting in clinic. Simon is also a qualified massage therapist, and is certified to perform the Epley manoeuver, a method use for the treatment of Benign Paroxysmal Positional Vertigo (BPPV). He is qualified in Western Medical Acupuncture, a qualification gained with the Health Professions Acupuncture Group (HePAG). Mr Dann is registered with the General Chiropractic Council, is a member of the McTimoney Chiropractic Association. John has been helping within the clinic for about 5 years now. Previously as a massage therapist, John qualified as a Chiropractor in December 2018. His position as our third McTimoney Chiropractor has been well earned and we are delighted to have him join us. Flexy has been with Ashwood Chiropractic since the beginning. 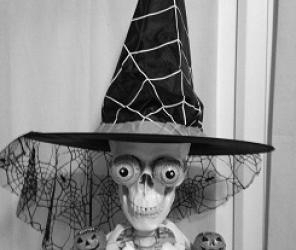 Not the most talkative member of the team, but his knowledge of anatomical structures is clear to see.